In a farmer’s and artisanal cheese making workshop, the liters of water used for each liter of processed milk are mainly used for cleaning, disinfecting and rinsing equipment. Any micro-organism present in the water used may contaminate the surfaces and subsequently the products. Beyond the criteria of potability (and / or cleanliness) imposed by the regulations, water no matter its origin, is likely to have high concentrations in some flora alteration such as Pseudomonas. Water quality must therefore be considered as a major issue for the sanitary and organoleptic quality of products, and its control is an essential point in the company’s quality approach. 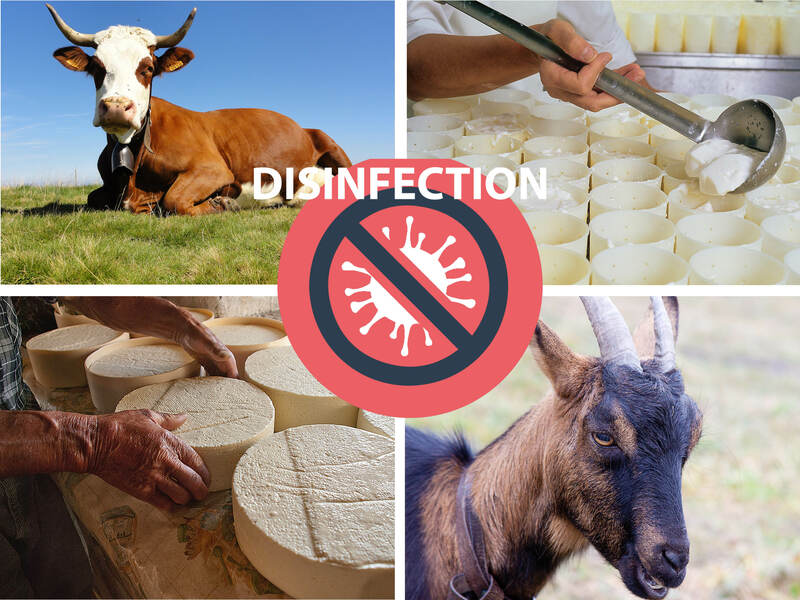 In a context of sustainable development, Ultraviolet (UV-C) water treatment is an advantageous solution that is well adapted to the cheese-making and artisanal cheese-making workshops.